Aside from a couple of baby bass, the first three fish I hooked this year all felt half-tidy but all of them came off pretty quickly. Obviously it’s fishing and we are never going to stay connected to every fish we might hook, but with how hard those three bass hit - and I saw one of them take my lure as well - I fancied my chances. But the hooks pulled each time and because I was trying something a bit different on the hard lures I happened to hook the bass on my confidence was naturally a little dented and obviously I started to question things. I crush all barbs on any of my hooks in lure fishing and nobody has ever convinced me that doing so loses me fish, and especially with how I tend to fight my bass compared to a lot of other anglers I see. Give a fish slack line and I agree that a barbless hook could fall out easier than a barbed one, but none of the three fish ever had a single inch of slack line, indeed they came off too quickly for something like that to have gone wrong. 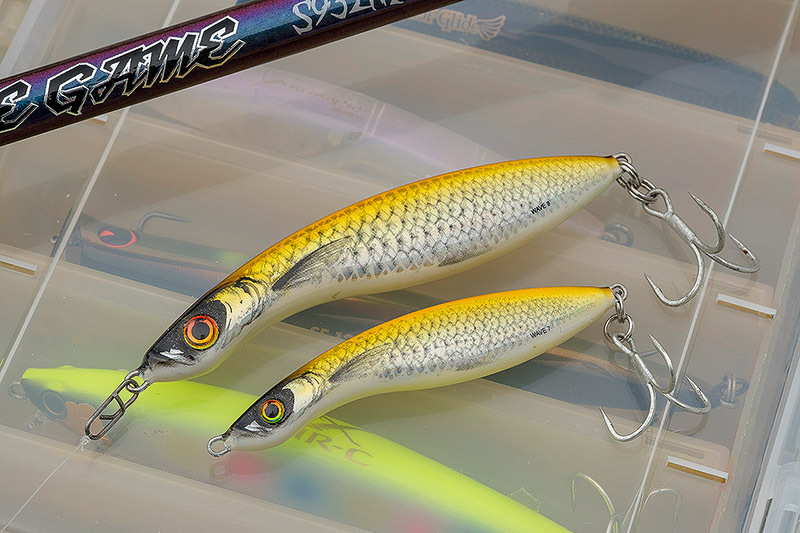 I am pretty sure those three bass were hooked on the sadly discontinued IMA Hound 125F Glide (why oh why would IMA stop making a lure like this?). Over the winter I had been looking into a bunch of different hooks (otherwise known as cabin fever), and because I don’t really like trebles but I accept that some lures don’t work properly without them etc., I tend to take the middle treble off a hard lure that has three of them on there, and then on many hard lures I will replace that rear treble with a specialist single lure hook. Most hard lures seem to swim the same like this, but a few don’t, and whilst I have tried singles on surface lures I quickly went back to trebles with how bass tend to hit lures off the top. Anyway, so I got a bit excited to find a barbless single lure hook, the VMC 7238BN Inline Single Barbless hook to be precise. The biggest available size at the moment is a 1/0 - and yes, why singles and trebles for lures can’t somehow have some sort of correlation with the sizing is bloody annoying - so I got hold of some and then rigged a few lures up with this new hook, including a beloved Hound Glide. A VMC 7554B BN Barbless treble size 4 at the front (really, really nice trebles), no hook in the middle of the lure, and then that 1/0 VMC 7238BN Inline Single Barbless hook at the back. So I go and drop those three bass on three separate fishing sessions and it starts to play on my mind. The fish all hit really hard in some bouncy conditions and I just couldn’t work out why at least say a couple of them didn’t stick, so I started stewing on it and I did what I often do and asked around on Facebook to see if anybody had any ideas. I explained my setup and soon started to get some interesting feedback and ideas. I don’t know if this bloke knows it, but I believe this two or more split ring thing comes from the sea trout and salmon worlds where sea trout especially are famous for throwing hooks. I also wonder if those of us who might use single hooks should perhaps think about using bigger singles on bigger lures especially, and perhaps that “small for a 1/0” VMC 7238BN Inline Single Barbless hook I had put on the rear of the Hound Glide was a touch too small for that particular lure. As you can no doubt guess, those three lost bass got my brain churning with the whole single versus treble thing! The info that the guy kindly put across on my Facebook page made a lot of sense to me, and when I started looking around I realised that a few of the hard lures I have here that originate from Scandinavia and the saltwater sea trout world especially do indeed have two split rings to the hook - as per the Westin Kongetobis above, and then the Salmo Wave below. 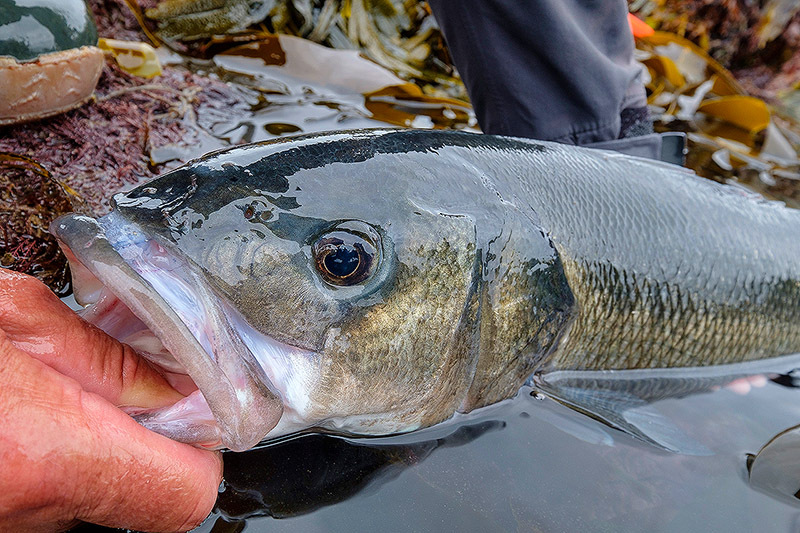 The Scandinavians with their sea trout experience have obviously thought things through here, and whilst bass are by no means sea trout, they do of course thrash around a lot. I can think about it all day long, but nothing in my mind beats actually trying stuff out in real fishing situations. I know that the killer little IMA iBorn 98F is one of those hard lures that swims just fine with a single hook on the rear - so I rig it with two split rings and one of those lovely looking and slightly bigger 1/0 VMC Specimen Inline Single 7266 hooks, as per above (you can get these from a 1/0 all the way up to some seriously big sizes), with a crushed barb of course, plus a VMC 7554B BN Barbless treble size 4 at the front of the lure. In my lure box this lure goes, and as per this blog post here from the other day, when a 70cm bass wallops your lure hard and then hooks up good and proper, wow doesn’t that single fish give me all the confidence I need that firstly this system can and does work, and secondly that it’s worth giving it plenty more water time. Food for thought? You all have a good weekend.